Plans to build a short tunnel under a footpath near the West Sussex shore have been deferred by a planning committee. The application for Dolphins, in Rookwood Lane, West Wittering, was considered just over a year after a bridge at the same site was torn down because it did not have planning permission. Planning officers recommended that Chichester District Council permit the tunnel, which was called for by resident George Chapman. Mr Chapman raised concerns about the safety of his family as they attempted to cross the footpath, which is used by cyclists and runners, to get to a patch of foreshore land, which the committee was told he also owned. 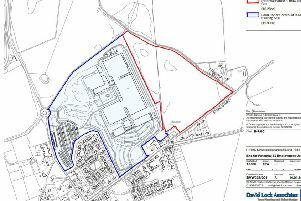 The application attracted strong objections from the parish council, Chichester Harbour Conservancy and a number of residents. The tunnel was called ‘over-engineered’ by several councillors, while some were worried that allowing it to be built would set a precedent. There were fears about flooding and how wildlife and the Area of Natural Beauty would be affected. There was also some incredulity that such a short tunnel was even deemed necessary. Objector Simon Hill-Norton told the meeting that it would take only three steps to cross the footpath. The committee was advised that the issues of over-engineering and setting a precedent were also not acceptable reasons to refuse. Questions were asked about whether the tunnel came out in a Special Protection Area on the foreshore and whether or not the land on the other side of the footpath could even be used as a garden. In a letter to planners, Mr Chapman said claims that he had developed the land into a garden ‘by stealth’ were ‘quite frankly beyond the pale and an extraordinarily damaging falsehood’. Members rejected the recommendation to permit. They agreed that the application should be deferred until more information could be provided about the status of the land and how the tunnel would affect the area, which is a Site of Special Scientific Interest.